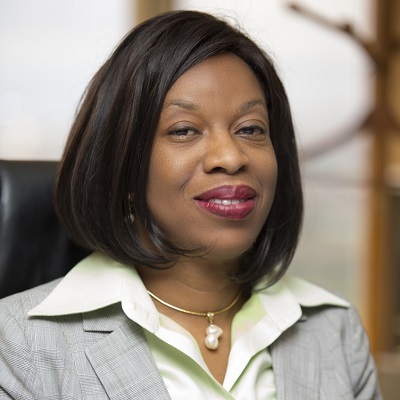 Marilyn Amobi, the managing director of the Nigeria Bulk Electricity Trading (NBET) Plc, fraudulently paid at least N2 billion naira to two power generating companies, documents obtained by Leaks NG have shown. The documents also revealed that Mrs. Amobi, who was made the substantive boss of NBET in July 2016, was also involved in a series of corruption allegations such as subversion of board approvals and infraction of procurement laws. A few weeks after she was confirmed as the managing director of NBET, the organisation that manages the electricity pool in the country’s electricity supply industry, Mrs. Amobi started overpaying two power generating companies – Omotosho Electric Genco and Olorunsogo Electric Company – in flagrant violation of the details of a Power Purchase Agreement (PPA) the companies signed with the government in February and August 2016, respectively. However, despite the fact that Omotosho did not provide evidence of gas supply aggregation and transportation, the company continued to tender request for full payment 20 months. According to the document in possession of Leaks NG, the over-invoicing was detected in October 2017 following an NBET internal audit. On September 22, 2016, NBET had written to Omotosho requesting that it fulfills the condition for the PPA. The generating company was first given a 30-day grace to provide the necessary document. The window to provide the document was later extended to 90 day, yet it never provided the document. For instance, in June 2017, Omotosho supplied energy to the tune of 33.16 megawatts but invoiced up to 161.74 megawatts. 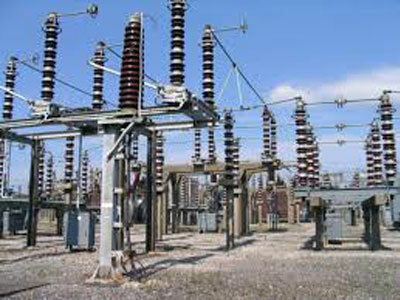 This implies that Omotosho laid claim to an excess of 128.58 megawatts as excess capacity for the cycle. For this capacity, Omotosho requested for payment of N1,023,532,574 instead of N209,824,177, leaving an excess of N813,708,397 for the capacity in June 2016. Olorunsogo issued an invoice of N1, 251, 881, 528 for capacity for June 2016 as against N75, 363, 267 calculated by its actual energy. The difference is an over-invoicing of N1, 176, 518, 261. For both firms, the over-invoicing amounts to N1, 990, 226, 658 as excess in just one month, June 2016. Leaks NG could not lay hold to all invoices issued by the companies, the two we obtained showed that NBET made partial payments to the companies. In one of the invoices, Mrs. Amobi paid Omotosho N339, 813, 418 in October 2016. The fund is part payment for July 2016 energy and capacity. On the same date: October 11, 2016, NBET paid Olorunsogo N372, 498, 731 also as part payment for July. These payments are clearly in breach of the PPA and the Nigerian Electricity Regulatory Commission (NERC) order of Transitional Stage Electricity Market (TEM). These illegal payments wouldn’t have been possible without Mr. Amobi’s insistence. While the Internal Audit of NBET refused to process the payment, Amobi signed the July payment on 13th October 2017 assuming the role of internal audit in violation of financial regulation. Sometimes in 2014, NBET wrote the Bureau of Public Procurement (BPP) to request the agency sign off on power procurement and retroactive no objection in procurement. The request simply means that NBET requests to be excluded from being subjected to BPP act in its power purchase agreement. The request was declined by BPP. However, the management of NBET, then under the leadership of its inaugural Managing Director, Rumundaka Wonodi, was unsatisfied with the position of BPP. The agency sought legal advice on the way forward. On June 1 2015, NBET advertised a notice for an expression of interest to engage lawyers in such cases, more specifically on BPP’s response. According to a report by NBET’s evaluation committee, three firms: Azinge and Azinge, Chukwuka Ugwu and Associate and John Erameh submitted their bids. The process was however truncated upon advice by the Internal Audit Department of NBET. Surprisingly, in April 2017, two years after, the Internal Audit received a request from Mrs. Amobi for payment of N30 million to two firms. Mrs. Amobi wants Azinge and Azinge to be paid a contract sum of N14 million and Aelex N16 million respectively. The process that led to this request was one replete with infractions and breach of public procurement law. It is worthy of note that the procurement process was stopped in 2015 and if there would be a need for the services of law firms in 2017, the process of engagement is supposed to take an entirely new process according to procurement laws. There was no new advertisement or procurement process but Mrs. Amobi presented the two firms for payment. According to the arrangement, Mr Achinaya would work for NBET for a period, present a report to NEXANT and claim his payment from NEXANT. This indeed happened but instead of NEXANT to pay the consultant, NBET’s leadership decided to pay him despite not being party of the engagement agreement. On January 23 2017, Mr. Achinaya wrote Mrs Amobi requesting NBET to pay him the sum of N7 million advance payment for the work he had done so far. The irregularities in the request were flagged by the Internal Audit, which declined payment to Mr. Achinaya. The audit department argued that it declined the payment because Mrs Amobi’s N7.5 million request was above her N2.5 approval threshold and that the process of contracting was not subjected to any procurement process. To bypass the procurement part, Mrs. Amobi allegedly directed the Parastatal Tenders Board of NBET to seek consideration and approval for the requested fund. The board submitted its report in March claiming that due process was followed in the award of the consultancy contract. The memorandum for consideration and approval indicated that the bid was opened on March 1, 2017, with a deadline of March 6. At the end of the process, two individuals were said to have emerged out of five expressions of interest received; Joe Agah with 59.7 total weighted scores and Uzoma Achinaya with 95.1. The contract was later awarded to Mr. Achinaya at the sum of N25, 850, 000. Even at that, the board did a shabby job in the cover-up. The consultant started work in 2016, requested for payment in January 2017 for his ongoing work but the NBET management instituted a post-dated procurement process to make the payment possible. In 2017, Mrs. Amobi made a request to the Accountant-General for officials from his office to be transferred to NBET to head the Internal Audit and Finance departments. Inside sources alleged that she made this request because she felt the officials who headed the department at NBET was standing in her way. The request was granted in June 2017. The AGF posted Hauwa Bello from the National Centre for Women Development (NCWD) to head the Internal Audit. He also posted Sambo Abdullahi to the Learning and Development, a newly created department at NBET. 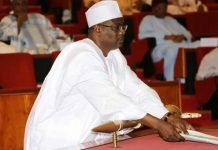 Waziri Bintube of the Finance Department was reposted to Risk and Guarantee, another department created by Mrs Amobi allegedly to victimise the two top officials. A month earlier, Mrs. Amobi had facilitated the transfer of two people, Ajulo Adesola from the national Agency for Science and Engineering (NASENI) and Acho Onyechege from the Ministry of Niger Delta Affairs to NBET as treasury officers. When contacted to respond to the series of allegations against her, Mrs Amobi, rained abuses Leaks NG reporter. Without first listening to the reporter’s questions, in in a statement, replete with swear words, the MD she said she would not comment to any of the allegations because the issues are in court. “If they are things about NBET that are currently in court, there is really no need…some of them are in court. I’m sure some people brought this to you. “You’ve written a story about us before of us sending some people to America which of course didn’t happen. These are issues that are with EFCC, ICPC and even in the court,” she said. After calling the reporter many unprintable names, Mrs Amobi ended the call. This report was put together by Leaks.NG, a coalition of news and civil society organisations, which provide a platform for Nigerians to submit evidence of wrongdoing by public office holders in Nigeria. To make a submission, please go on Leaks.NG and follow the simple steps involved.